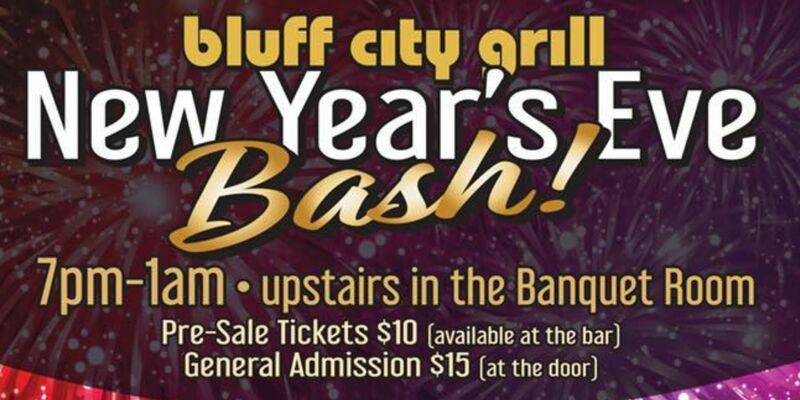 Bluff City Grill is hosting a New Years Eve party! 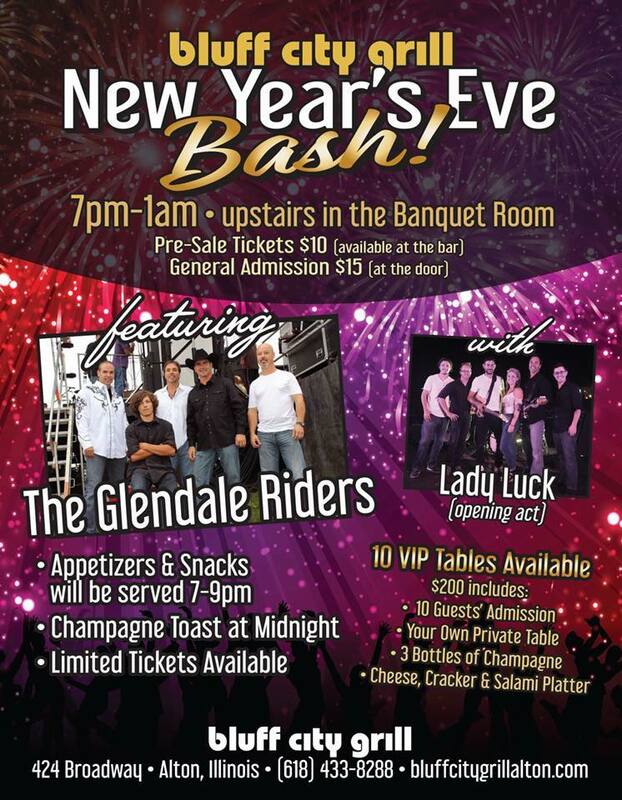 Featuring music from The Glendale Riders and Lady Luck, this party will also include dancing, crowd games, and more starting at 7pm. Tickets are $10 in advance ($15 at the door) and can be purchased at Sherer Chiropractic Center (both locations) and Bluff City Grill. Limited tickets available. This show will sell out so get your tickets soon!